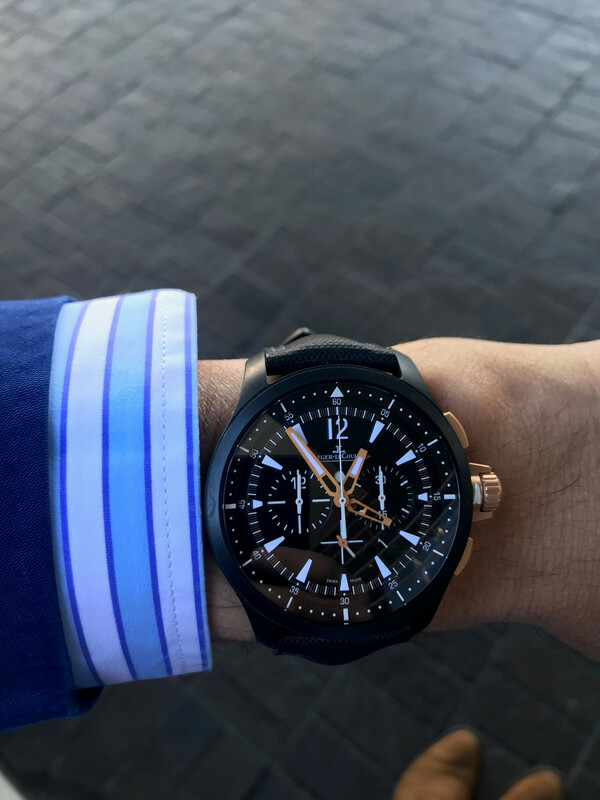 In this video I am wearing a JLC master compressor chronograph ceramic. It's an awesome watch with incredible legibility, and a 46mm diameter. Although it is large, I found that it slips under a double cuff with ease, and in the video all you see are the gold pushers and crown peeping out. Awesome and stealthy is a great combo for a watch. Thank you. I love the idea that a watch like this can go with a suit and tie like that...and no one even raises an eyebrow.